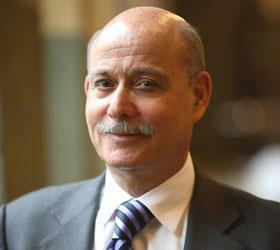 Jeremy Rifkin is a major force in shaping public policy in the United States and around the world. He serves as an advisor to the European Union on issues related to the economy, climate change, energy security, and sustainable development. He has testified before numerous congressional committees and has had consistent success in litigation to ensure responsible government policies on a variety of environmental, scientific and technology-related issues. Rifkin is also the founder and president of the Foundation on Economic Trends, whose mission is to examine the economic, environmental, social and cultural impacts of new technologies introduced into the global economy. The US is on the edge of a national healthcare crisis. A report released by the Trustees of the Medicare Hospital Trust Fund that provides government health insurance for the elderly warned that the fund would run out of money to cover hospital treatment in twelve years. Meanwhile, private health insurance premiums have risen by a shocking 73% in the last five years. While government continues to wrestle over how to pay for a health care system that is careening out of control, no one seems willing to acknowledge another even more troubling reality that is further exacerbating the crisis. The American public is getting sicker. Sicker workers, in turn, are not only putting increasing financial strain on the health care system, but also undermining America’s productivity and competitiveness, all of which bodes ill for the future of the American economy. In his presentation, Mr. Rifkin will explore, in detail, the great shift into the biotech century. After more than forty years of running on parallel tracks, the information and life sciences are beginning to fuse into a single powerful technological and economic force that is laying the foundation for the Biotech Century. The computer is increasingly being used to decipher, manage and organize the vast genetic information that is the raw resource of the new global economy. Already, transnational corporations are creating giant life-science complexes from which to fashion a bio-industrial world. Jeremy Rifkin is the author of The End of Work, the international bestseller that has been translated into sixteen languages. The book is widely credited with helping shape the current global debate on technology displacement, corporate downsizing, outsourcing, global labor mobility, and the future of jobs. Mr. Rifkin’s presentation will focus on the vast changes taking place in the nature of employment, as the world makes the shift from mass wage labor to small, highly educated, elite workforces, working side by side with increasingly intelligent, cheap and efficient automated technologies. Jeremy Rifkin is the author of the international best seller, The Age of Access, which has been translated into fourteen languages. Mr. Rifkin’s lecture, “The Age of Access”, focuses on the profound changes taking place in the global economy with particular emphasis on the new economic models that are beginning to fundamentally change the way we do business. Mr. Rifkin’s lecture presentation delves into the many features of the nascent European Dream. For more than two centuries the world has looked to the American Dream for inspiration and guidance. Now, a newly emerging European Dream is beginning to offer an alternative to the American vision. The European Dream represents a new chapter in world history. It is the first attempt at creating a global consciousness, befitting a globalizing economy. Mr. Rifkin will explore the political, social, and cultural aspects of the fledgling European Dream and its implications for the business community and society. We are approaching the sunset of the oil era in the first half of the 21st century. The price of oil on global markets continues to climb and peak global oil is within sight in the coming decades. At the same time, the dramatic rise in carbon dioxide emissions from the burning of fossil fuels is raising the earth’s temperature and threatening an unprecedented change in the chemistry of the planet and global climate, with ominous consequences for the future of human civilization and the ecosystems of the earth. The key challenge that every nation needs to address is where they want their country to be in ten years from now: In the sunset energies and industries of the second industrial revolution or the sunrise energies and industries of the Third Industrial Revolution. The Third Industrial Revolution is the end-game that takes the world out of the old carbon and uranium-based energies and into a non-polluting, sustainable future for the human race.